If you want to discover the Inca culture and arqueological ruins of Cusco, the Sacred Valley and Machu Picchu and do not have much time to travel, this is definitely the right tour for you. Visit the imperial city of Cusco and four surrounding archaeological sites: Saqsayhuaman, Qenqo, Pucapucara and Tambomachay. A must tour in your visit to Peru. You will feel a different energy when you visit the historical sanctuary and citadel of Machu Picchu. We offer transfers, tours and complete assistance during your trip. We strongly recommend to arrival to Cusco in a morning flight. That way, you can acclimatize to the altitude, have time to relax in your hotel and get ready for your afternoon city tour. Once you arrive to Cusco, a representative of our company will give you the entrance tickets for your tours all will give you general orientation about your trip. After lunch, enjoy a tour in the city of Cusco visiting Qoricancha (Temple of the Sun), the Cathedral, Main Square and surrounding streets. The tour continues in the outskirts of the city when you visit Sacsayhuaman, considered an inca fortress with stones perfectly cut with approximately 120 tons of weight. Qenqo, used as a religious center, Pucapucara, used as a military control place and Tambomachay, used as a temple where adoration and worship of water is made. Accomodation options: 2, 3 or 4-star hotels in Cusco city. Enjoy a traditional or buffet breakfast at your hotel and get ready for this amazing day. We will pick you up at 5am from your hotel, travel through the Sacred Valley in the morning and take you to Ollantaytambo train station where you will board the train to Aguas Calientes or Machu Picchu town. Enjoy the amazing landscapes of the Sacred Valley and the Amazon Rainforest with the company of typical music and great service on board. Once in Aguas Calientes, our tour guide will take you to the bus station where a bus will take you through a zig zag road to the Sanctuary of Machu Picchu. Visit Machu Picchu Historical Sanctuary on a two hour guided tour and understand the main use and secrets of the most important archaeological site of the Inca culture. Feel the energy of the place and spend some free time to explore all the sanctuary on your own. If you want to hike the Huayna Picchu mountain, we recommend to book some months before the tour. After your visit to Machu Picchu, you will take the bus down to Aguas Calientes for lunch. During the afternoon, board the train towards Ollantaytambo and then, board the bus or minivan that will take you back to your hotel in Cusco. Breakfast in your hotel. At a fixed hour, our driver will pick you up from your hotel and take you to the airport for your flight. If you have an afternoon flight, you can leave your luggage at your hotel with no extra cost. Assistance in the airport with your luggage and check in is also included. 2 nights accommodation in 2, 3 or 4-star hotels. 2 breakfasts at your hotel. Round trip bus Aguas Calientes - Machu Picchu - Aguas Calientes. City tour in Cusco and Archaeological Ruins. 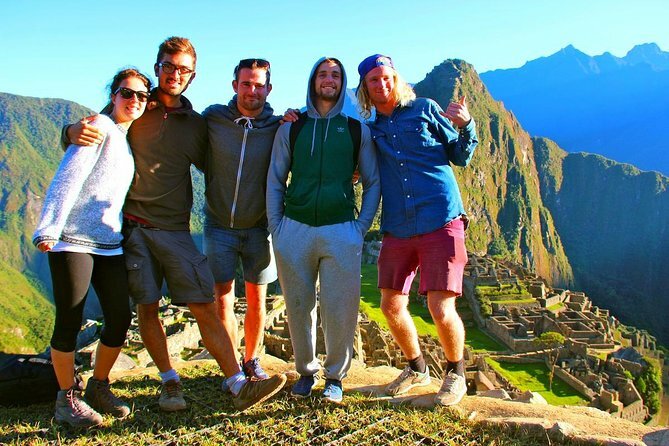 Machu Picchu Full Day tour. Tour is not available on dates like July 28th and 29th, December 25th, December 31st, January 1st and the dates of the holy week. A moderate amount of walking is involved at Machu Picchu. Hotel accommodation on this program is based on 2 travelers per room. The distribution of beds could be 2 separate beds or 1 matrimonial bed, we can reserve the beds accomodations base on your preference. Triple Accommodation price will be the same as double-accommodation. Please contact the local tour operator to learn more. Important: On day 1, it is highly recommended that your flight into Cusco arrives before 12pm as the Cusco City tour starts at 1:30pm.